I call this creation The Blossoming Lotus. It was originally posted on Online Cortex, but I have decided to repost it here because its just plain fun. Basically it is a large 2D version of a Hoberman sphere. Why did I not make a large Hoberman sphere? First, the parts to make the circle cost almost $80 US. Second, I have other more pressing projects I am working on. It is about 4 feet in diameter when completely extended and is pretty impressive. Its relatively easy to make. My design consists of constructing each petal with two interlocking pieces: a single-claw arm and a double-claw arm. 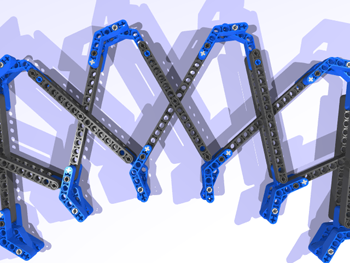 The parts needed to make the two arms are illustrated below. To make the entire circle of petals, one needs 20 copies of each petal. The job then is to put them all together. I will post detailed instructions on a website in the near future. For now, here is a closeup of the blossom when completed. And of course, the project wouldn’t be complete without that animation above made with MLCAD, L3PAO, and POV Ray. The animation was straightforward—once you get the geometry right (which is not straightforward). I will post a lesson on the geometry and the animation of this creation in the future as well. For now, enjoy. 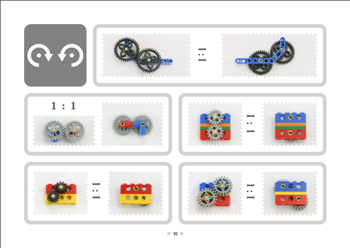 In a previous post, I describe the design of a smooth LEGO clutch. Here I introduce a version where I have added a differential to the top of the clutch. 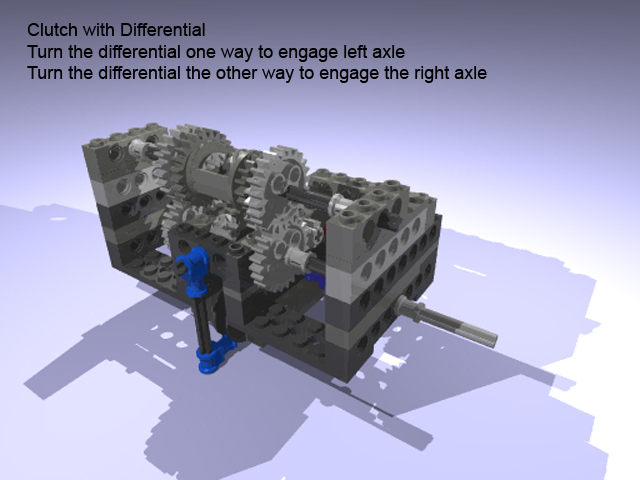 By rotating the main differential gear in one direction, the clutch will engage and rotate one axle. By rotating it the other direction, the clutch will engage and rotate the opposite axle. It would be straightforward to attach a motor to this system. Here are the building instructions. 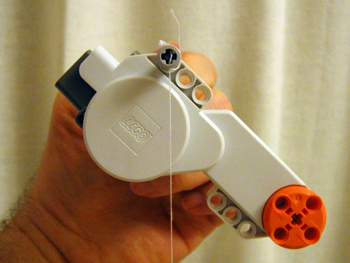 I am working on designing a walking machine, but I needed to know the Center of Mass of the LEGO NXT Motors. When using Newton’s Laws to compute the forces on the system, we can treat the motor as if all of its mass is located at a single point. The Center of Mass is the location of this point. There are several ways to find the Center of Mass of the motor. The most straightforward way is to hang the motor from an axle placed in one of the holes. The motor will orient itself so that the Center of Mass lies directly below the axle. By hanging a mass on a string from the axle, the Center of Mass must lie somewhere along the line defined by the string. After performing this experiment, I placed a small piece of Scotch tape over the string so that I can keep track of where that line is. I then cut the string off of the axle. Now to find the precise point, we simply perform the experiment again, but place the axle through a different hole. This gives us a second line. Since the Center of Mass must be on both the first line and the second line, it is located at the intersection of these two lines. The Center of Mass is very close to being aligned with the holes on the motor. Below is an MLCAD image of the NXT motor (from Philo). I have overlayed a Cartesian coordinate system that corresponds to that used to define the 3-D image file. The origin of this system is at the center of the axle hole on the motors drive axis. This is perfect for me since I will be rotating the motor and trying to compute the position of the Center of Mass after the motor has rotated through some arbitrary angle. This image not only helps with identifying the Center of Mass of the NXT motor, but also in understanding the dimensions of the NXT motor overall. 1. Use only parts that are necessary…no less and no more. In the course of trying to fortify a LEGO construction, it is extremely easy to get carried away and add too many parts. If you are like me, you have a limited supply of parts. Using too many parts rapidly depletes your supply and can add significant weight to your creation. If you are building a robot, this extra weight can really slow it down. We all know that when stacking bricks to make a wall, you need to stagger the bricks so that the next layer of bricks holds the bricks in the lower layer together by covering up the cracks. This is one way to build strong connections. 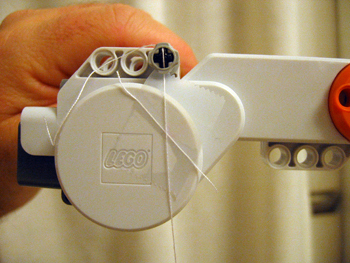 You can do even better by bracing the wall with a beam by pinning it to technic bricks embedded in the wall. By adding a few carefully chosen pieces, it is possible to significantly strengthen a structure. Just be careful not to go crazy and violate Tip #1. 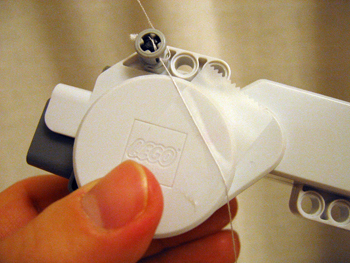 Every time you add a LEGO part to your creation, you limit the possibilities of what you can make. When you have nothing you can make anything. When you grab a brick, you can now only make things that have that brick in it. Each part constrains the creation. Be aware of parts or constructs or mechanisms that place too strong of a constraint on your design. You dont have to get rid of them, but just be aware of the role they play in constraining what you do next. 4. Dont become TOO attached to your creation. Sometimes we find that we really really like a certain aspect of the construction or a set of parts, but nothing else works. The tendency is to get rid of everything else and then build up around those parts we really like. 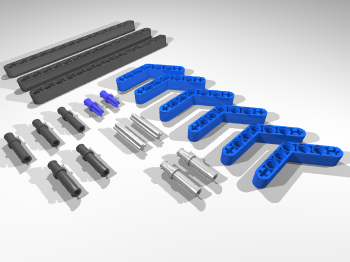 However, these parts are placing strong constraints on the design… often too strong, which is why nothing else works. The solution is to get rid of the problem. 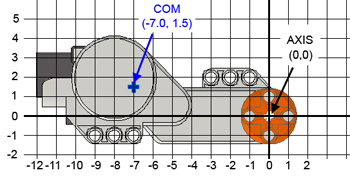 In this case, you have to get rid of the set of parts you like because it is over-constraining the rest of the design. You dont have to destroy it (see Tip #9)… just set it aside, but be sure to remove it from your creation. 5. Be open to new ideas. There is always more than one way to solve a problem. Be open to new, and seemingly crazy ideas. Sometimes these lead to ingenious solutions. If you suspect that you are having problems similar to those described in Tip #4, take some time out to brainstorm and see if you can come up with a new idea! Designing a complex structure or mechanism in one step is almost impossible. Break the construction up into stages, and consider each stage separately. Sometimes a given stage will still be too complex. If so, break that construction up into stages as well. Just be aware of the dangers in Tip #4 above. Your solution for one stage might be awesome, but if it doesn’t work well with your solution as a whole… it has to go. Again, if you have enough parts, keep your creations. 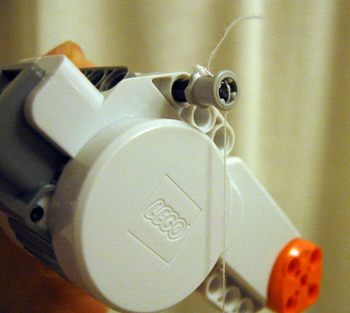 Otherwise, at the very least preserve their memory by building them in a LEGO Computer Aided Design (CAD) system. Sometimes we get lucky and we find that a part or a set of parts can serve two or more functions. This is an excellent situation as it saves you both parts, size and weight. Watching out for these opportunities, and taking advantage of them when you can, can really help make an elegant and efficient design. Just be careful not to become too attached to the idea, as you could end up in trouble as described in Tip #4. When you are all finished, take some time to study and test your design. Consider both form and function. When considering form, you are concerned mainly with aesthetics (beauty). 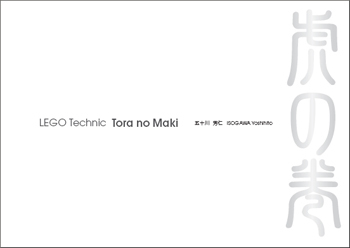 What do you like about the design? What dont you like? Is it too big? Is it bulky? Can it be made smaller, sleeker, more elegant? When considering function, you are concerned mainly with its operation and effficiency. Does it do what it is supposed to? Do the parts go together well? Does it vibrate? Do the gears mesh properly? Does it get stuck? Is there too much friction in the system? Could it be smoother? Is it safeguarded against parts breaking in high torque situations? Then consider the big picture. What did you do right? What did you do wrong? If you could do it over again, what would you change? I have mentioned this tip several times above. If you have enough parts, and enough room, keep your creations. 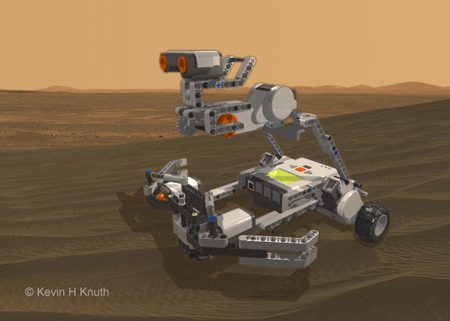 Otherwise, at the very least preserve their memory by building them in a LEGO Computer Aided Design (CAD) system and generate building instructions. That way you can keep a good idea. Who knows if it will come in handy later? 10. Do it over again! When building mechanisms that require careful consideration of either form or function, you should plan to make several prototypes (a prototype is a first design). Don’t destroy what you just constructed. You may need to refer to it by copying a part of the design that worked well. You may also need to see if you have improved the form or function by comparing it to your first attempt. I personally plan to make at least three prototypes until settling down with a final design. I dont apply this rule to my first prototypes, but as I settle in on a final design, I work to choose the brick colors carefully. Of course, we do not always have enough parts to do this, but it is worth the extra effort. Colors scattered all over a design leads the eye to seeing it as haphazard rather than elegant. A careful choice of colors can really enhance the form of your creation. You can also use colors to enhance the function by color-coding functional segments of your design. This is maybe better for illustrative purposes (as in a LEGO CAD design), but usually I choose the latter and aim for an elegant coloration.